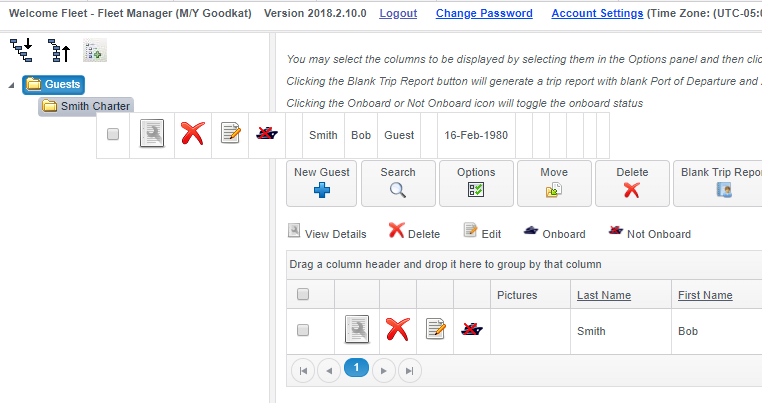 This section of the guide will show you how to view and organise guest information for a vessel. To view all currently entered Guest information click 'Trip, Crew & Guest' - 'Guest List'. This page is split into 2, with the left hand side giving you a folder structure to organise your crew and the right side to show you the guest information. 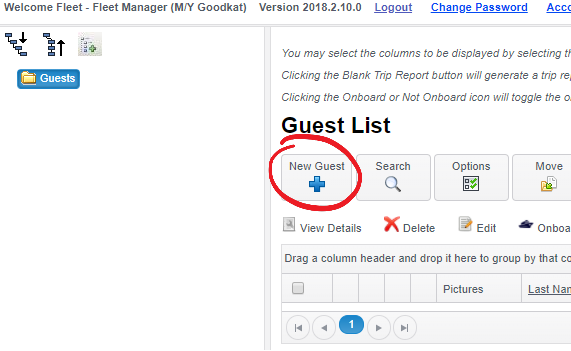 To add a new Guest click 'New Guest'. You will then be able to enter their details and 'Submit'. Pro Tip: You can attach documents to the guest profile. This is an ideal place to add an guest preference forms, or copies of passports. To do this click the 'attach files' button at the bottom of the table. You can add as many files as you like to each profile. Once you click 'Submit' you will be taken back to the main Guest page and you will see your guest on the right hand side. You will be able to view and edit this crew by clicking the 'View Details' icon and 'Edit' icon next to the guest. This will create a sub folder under the main Guests folder. 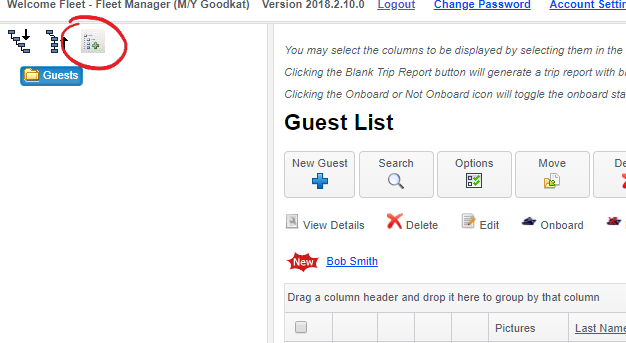 To move a guest into the new folder click on the folder where the guest is located (in this case the main 'Guests' folder) and then drag and drop the guest into the new folder.